The long-time partner of Tonyboy Cojuangco may have riled up some animal rights advocates. 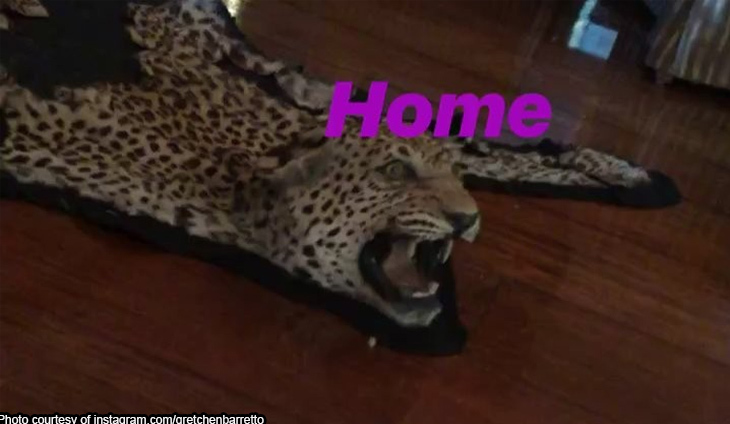 Gretchen Barretto unknowingly drew flak from animal rights activists when she was happily showing off her home on Instagram. Her video showed the leopard and zebra fur rugs her bae Tony purchased “ages ago” as well as her different collections of dinnerware. “very disappointing! Gretchen is such a kind soul! It’s odd looking at the dead animals” @vitchchinn said. “maybe she just needs to be re-educated on how these animals are skinned.. I mean.. have her see the animals being skinned alive for the sole propose of ‘redecorating’ her home” @jan_escobia said.